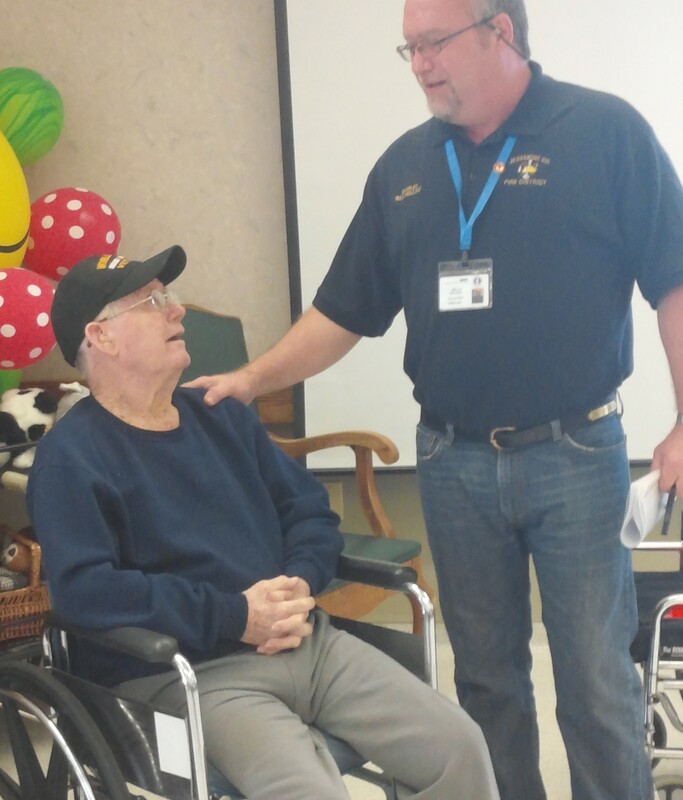 I have the honor of being a volunteer chaplain at the Thomson-Hood Veterans Center in Wilmore Kentucky. This facility is not only first-class quality in every way but it is filled with some of the most wonderful people on earth. I am constantly meeting new residents and I love sitting around and talking with them. This is a very large facility that is designated to giving excellent long-term assistance to veterans that need constant medical care. There are 5 separate units and each one has their own nursing stations and cafeterias. The units are Eisenhower, Jefferson, Lincoln, Washington, and Roosevelt. I currently minister in the Eisenhower unit on Wednesdays and Jefferson unit every Friday morning and also have clearance to have one-on-one meetings with anyone anywhere in the facility. What a treasure house of blessings to listen to these great men and women share their stories and an honor to help serve them in the name of the Lord. Mr. Dwyer is a quiet and very nice gentleman who also happens to be one of the very few survivors of the Normandy invasion. He is 98 years old but can still remember many of the details of his combat experiences. He has shown me all of his medals and is extremely proud to have served his Country and we truly appreciate his service. Herbert is an exceptional person! I always enjoy a stimulating conversation about his life, the Lord, politics, and his worldviews every time I visit.. I realize I do not need to tell you by this picture, but this young man has a wonderful attitude about life and is overflowing with positive energy. His mind is sharp as a razor and can walk and feels good which in my opinion is doing wonderfully at any age (ha!). He is 97 and I still find it hard to believe! He has some problems with his eyes but all in all he is doing VERY good for his age. He watches CNN constantly and is always ready to share a delightful, intelligent conversation anytime – anywhere. He said that he and his wife used to play music together – he played the fiddle while his wife played guitar. He lives in a different unit, but faithfully comes every Friday to our gathering and is one of my “star” students when we play Bible trivia. He is so smart and has such a quick mind that no one else hardly has a chance to answer the questions. He also offers excellent spiritual insight into the Bible study discussions. I love and appreciate you, Herbert! 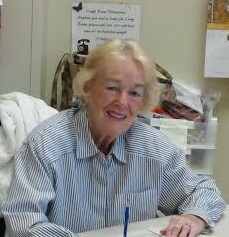 This is Ruth and she has been a faithful volunteer for many years. This is not unusual in itself but given the fact that she is 90 years old puts everything in a different perspective. She drives, attends church, shops and does whatever she wants and says she feels great! When I was talking to her it was like talking with a 30-year-old and I stand in awe at how intelligent, caring and sweet she is. She said her husband lived in this facility for 7 years before he passed away and she became so familiar with the place, she just did not want to stop being a part of it. May the Lord continue to bless her as she has the compassion to serve Jesus and give back to the community. 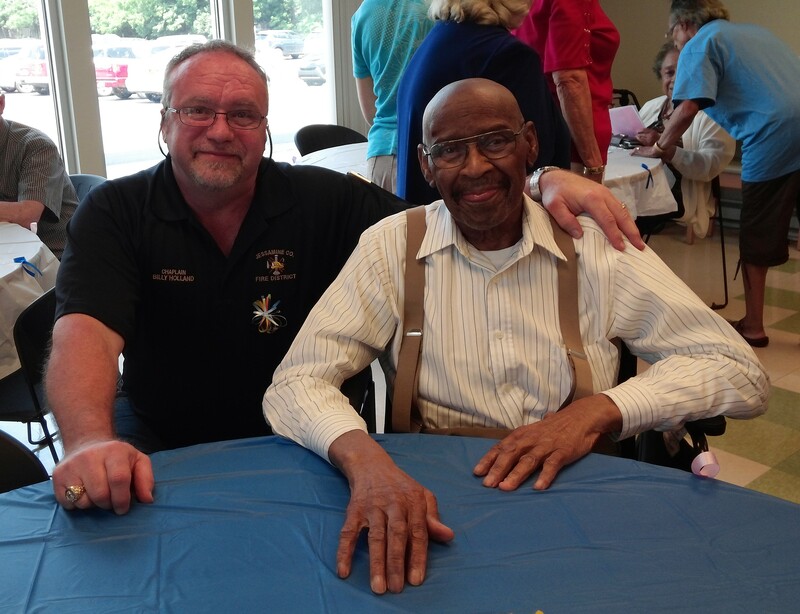 Now, I want you to meet a special young man and one of the most popular residents at Thomson Hood. Sgt. Jessie Donald Baker (love that hat) and let me say that when I minister in his unit each week, Donnie is the one that makes me laugh, brightens my day and encourages me in the Lord. He is so funny and filled with joy, it is like he glows with God’s presence. This brother is loved by everyone for many reasons but especially because he is always upbeat and positive. He is quick to remind anyone he meets that Jesus is Lord and that anything is possible with God. (He wanted me to take a picture of his “guns” and to remind everyone that he is still in his fighting shape, ha!). He is my “amen” leader when I teach God’s Word and he sings with all of his heart when I play the old hymns. He loves Jesus with all of his heart and has lived at THVC since 1992. 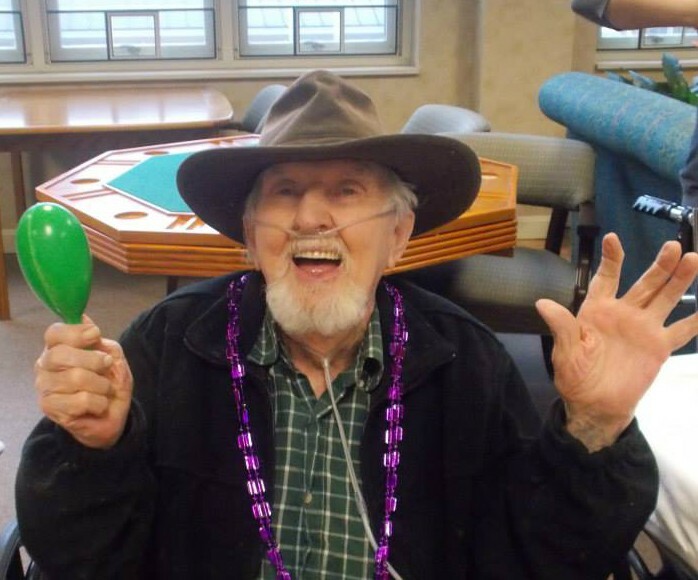 He is widely known for snapping his fingers whenever anyone makes a comment and saying, “and then some!” I have talked to many people in the community that know him and we all laugh about it. I am very excited to be creating powerpoint presentations to use by telling Bible stories! These are going to be a wonderful addition to the morning services. Everybody loves a story and to have these images come to life on the screen will quickly become a favorite. It is a challenge to keep the services interesting as many of the residents cannot hear as well as they used to. Hopefully, with these images being displayed on a giant screen the folks can see and enjoy them. 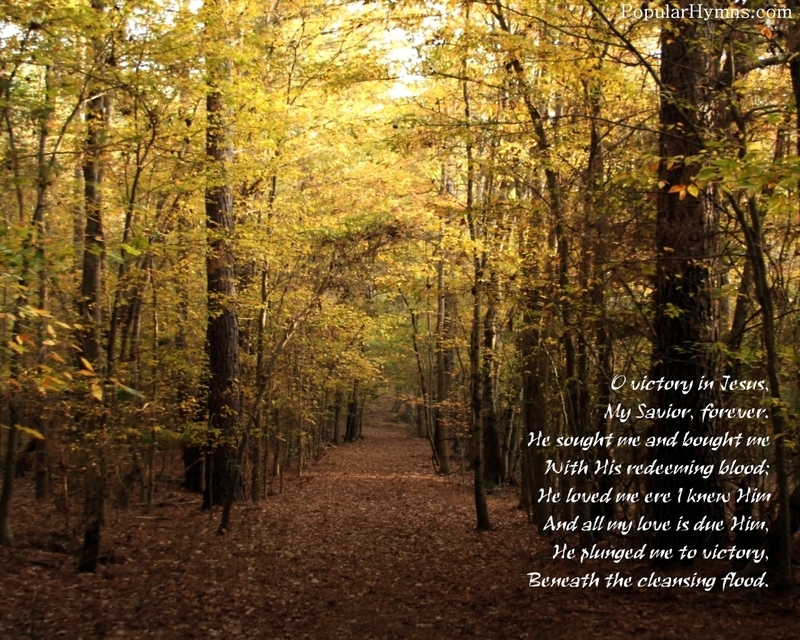 I have been learning a new collection of hymns lately and I can honestly say they all love the music very much. It is a blessing to be a part of a group that loves the Lord and appreciates His Word. I love the staff and most of the time they also grab a chair and sit in with us. This past week I really felt the presence of God very strong and I know that He loves being with His children wherever they are and whatever they are going through. You can imagine how this is going to enhance the teaching of God’s Word. I am in the early stages of preparing several other Bible Stories and pray that the residents (and staff) will remember these stories from their youth. These may seem simple, but as we remember the miracles of God, our faith is stirred and we are reminded of God’s never failing love and unlimited power. The imagination is endless to what can be accomplished through these stories and there are so many awesome images that are available to be used to enhance God’s Kingdom and encourage His people. May He receive all glory! Here I am in the Eisenhower unit getting ready to present a Bible story on powerpoint and according to the staff – the guys really seemed to enjoy it. I am trying to keep things interesting with using music, teaching and now the powerpoint presentations. This is the Alzheimer’s unit and with this disease, it is common to have good days and bad days. Sometimes the guys are very interactive and enthused and some days they are quiet but we always have a good time together. They really love the hymns and one of the brothers always whistles along with the songs and I love it. He said he used to play harmonica and I encouraged him to whistle anytime he wants. One of my star students in this group is such a blessing to me and I always enjoy his participation. He is a small man with a large brain as he spent his life traveling around the world as a nuclear chemist. He has had such an interesting and much of it he says he is still not allowed to talk about. He was raised Catholic and is excited about learning more about God’s Word. Larry is such a special person! I call him “Larry the singer” because he will take off on a song at the drop of a hat. I always let him sing during my Bible studies and he is such a blessing. I am often called to come in the middle of the night when a resident is not doing well, and this particular night I ran into Larry. The halls were quiet and no one was around and I was feeling a little down. Larry said, let me sing you a song, and he began singing, “His eye is on the sparrow” and I could feel the Holy Spirit filling the atmosphere. A tear rolled down my cheek as I thought about how God can use us whenever we are not ashamed and ready to give Him glory. I left that night filled with peace and hope and very grateful to God for Larry. This beautiful lady is Inez Wilson and within a few minutes of being with her, you will realize just what a special person she is. You can just sense her vibrant energy as she always projects an upbeat attitude and enthusiastic personality. Every time I see her she has something positive to say. I love to hear her laugh and she has such a lovely smile. She is one of 11 female residents and is proud to have served her country in the armed forces. She paints pictures and gives me little gifts from time to time and I do cherish her friendship. 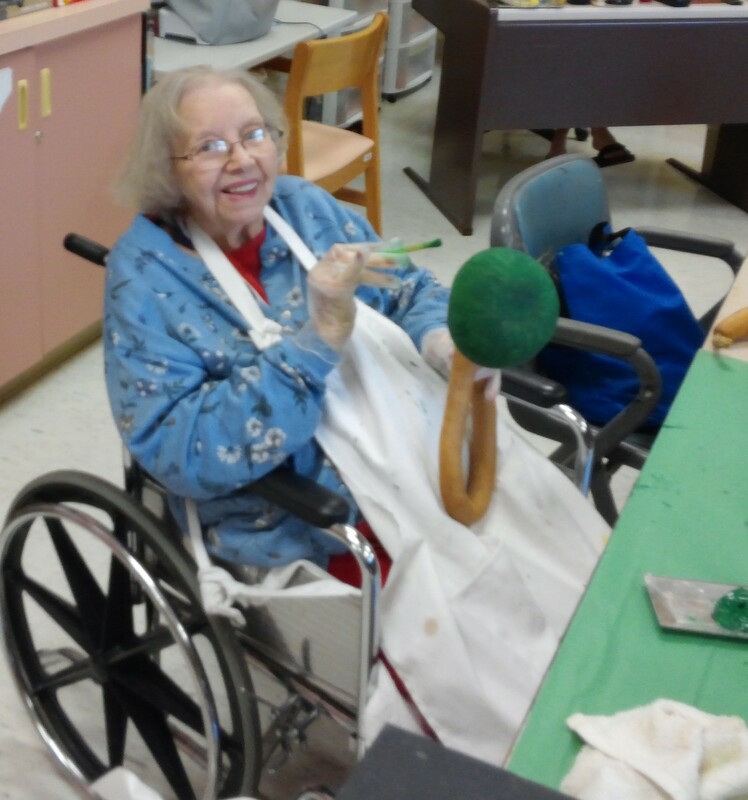 Today I caught her painting some of her beautiful gourds in the craft room. She is always happy and active and very talented. She was a staff sergeant with the U.S. Army and served much of her 14 years of active duty in Japan. Robert (below) is an Air Force man and one of my more serious Bible Study participators. 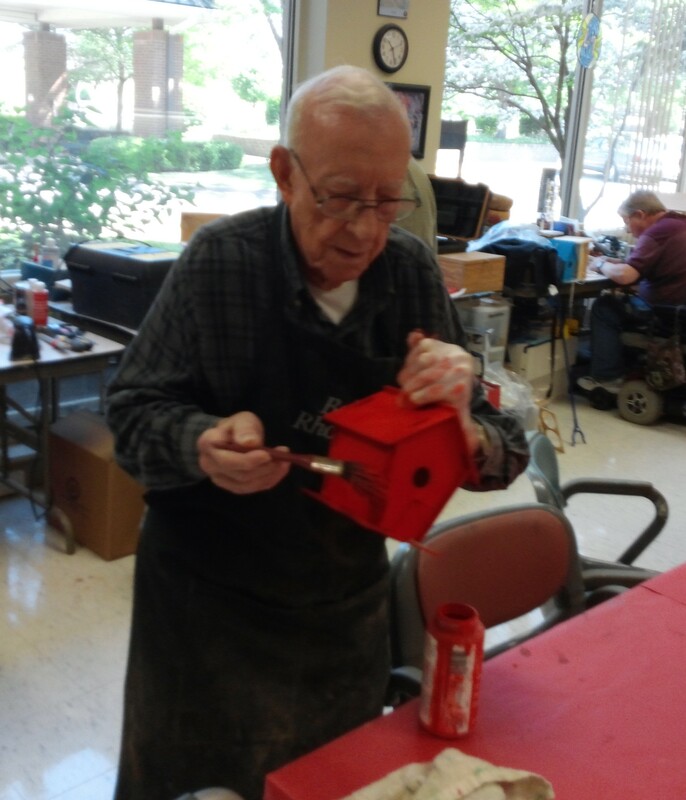 I found him in the craft room staying busy and building an awesome birdhouse. When I have my time of ministry, this young fellow brings his Bible and checks out every passage just like being in church. He always has very good comments and reminds me of every service that we need to preach the gospel because people need to be saved. He reminds me of a pastor but said that he was always just a faithful member and loved going to church his entire life. He gave me a wonderful comment the other day after our service by telling me that I was conducting church like the old time way and that he felt the Holy Spirit and really enjoyed it. I have always enjoyed Mr. Boley because he is so nice and caring. Even though a stroke has left him with some speech problems, I have been around him long enough that I can understand most of what he says. He is very smart and is good at trivia. As most of you know, I am a newspaper columnist and one day I was showing the group my column in the local newspaper. Mr. Boley started waving his hands and when I asked him what he wanted to say, he said he worked for a newspaper for 40 years! Wow, I had never known that. Come to find out, he was was a typesetter for the Sarasota Tribune which by the way is still operating. Computers came along and now there is no need to do what he used to do. He said it was also difficult to remove the ink from his hands every day. Now, not only are we Christian brothers but we also have the bond of being involved together with newspapers! These saints were raised with the old time religion and that is what they feel comfortable with. If a person came in with modern songs and a new modern translation they would all just sit and stare at them because they relate to what they know. You see, I have learned, it is not about what I like or what I want to do. It is trying to be all things to all people so the ministry of Jesus can be a blessing instead of a performance that the flesh is trying to perform. I have learned many of the old hymns and have discovered while trying to give them what they want – I have been truly blessed and encouraged by the Holy Spirit. Just because the songs have some age does not mean they have lost their power. It is not about style but rather about the message and these songs are filled with awesome truth and God is still receiving glory from them. Amen! James is new to the facility and is trying to make the adjustments to the transition. I love talking to him and we have had some very wonderful conversations. James is quite an intelligent fellow as he has been a medical doctor (are you ready for this?) AND an attorney. 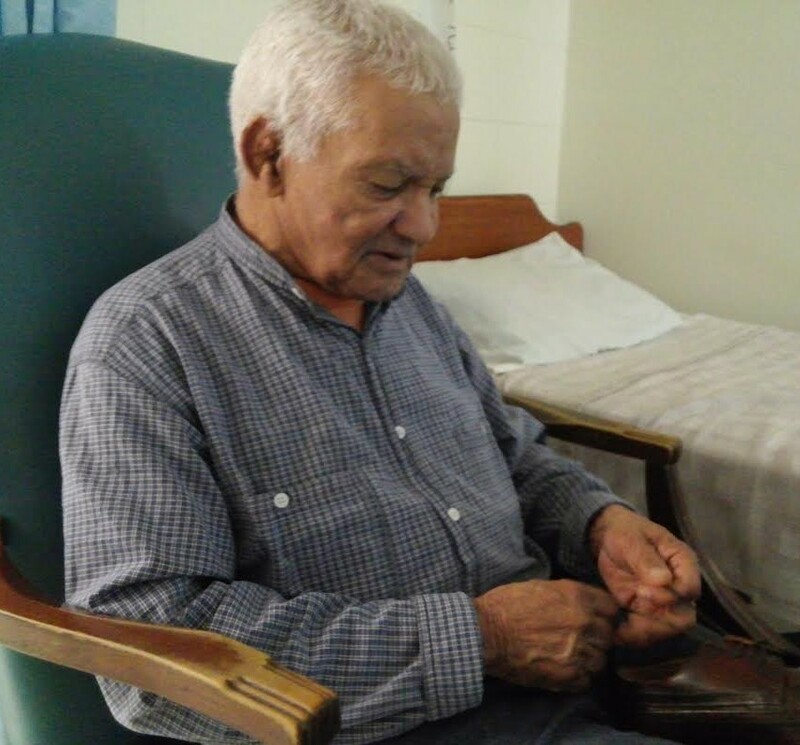 He had a stroke a few years ago and this has been very frustrating but he puts his trust in God and believes that Jesus has never stopped blessing Him. He is very vocal in our Bible study and is such an inspiration to all of us. Last week I presented 15 Bible trivia questions and included this with my regular program and they all absolutely loved it! I was so proud of them as they all clapped whenever someone would guess the right answer. They all wanted to do it again so I think I have found something they really enjoy. Here I am back in the Eisenhower Unit getting ready to start the Bible study and let me say this is such a great group of guys. 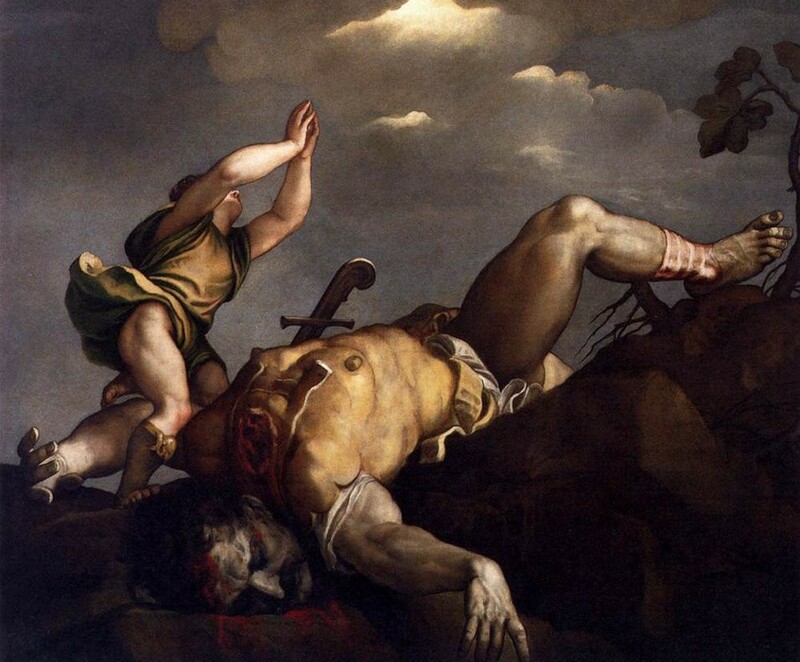 This is the second week I have introduced the Bible trivia and once again it is a huge success! They love playing any type of game and this really gets their mental wheels rolling. Sometimes their answers are hilarious and we all laugh but it is a great time of learning and having fun at the same time. Even the staff gets in on the action and now we all look forward to it every week. I was leading my regular Bible study the other day and one of the staff said that one of the residents wanted me to pray for him when I was finished. He would have come to our meeting but was just too sick to get out of bed. After our service, I walked down the hall and came into His room and I was taken back by the appearance. His legs had huge growths and lesions all over them and recently he had surgery on his foot that had removed half of his foot leaving him with just two toes. I would not take any photos of this person out of the honor and dignity that he so very well deserved. He went on to tell me cancer has now spread to his groin area and prostate. I knelt beside his bed and cried. I stumbled with my attempt to pray and all I remember was asking Jesus to please bring His mercy. As I walked back down the hall, I thought that if not for the grace of God where would any of us be? Please remember this brother in your prayers. He is alone and afraid. There is much suffering in this world and we do not need to look far to find it. The more I am exposed to the needs and hurts of people, the more I want to help. But many will ask, what can I do? It seems the reality is that it is not what we CAN do – it is what we are WILLING to do. There is much we could accomplish if we really wanted to but sadly most try to “avoid” coming face to face with challenging situations. We can start by asking the Lord to give us a burden. And then He will show us how we can help. Just visiting and praying with the forgotten’s is a huge ministry because we are actually visiting Christ Himself. The Lord knew this could mean more than we can ever imagine and is a part of our responsibility as a Christian. Many that are alone just want the comfort and peace of knowing that someone cares and is interceding for them. Sometimes this is all we can do. Recently I came home from one of the meetings and was thinking about how many people live in these places. These are valuable people have lived awesome lives and have done extraordinary things. I just sat down at the computer and this is what I wrote. Such a large beautiful structure, the bricks, and steel of a refuge provided to give back to those whose season has now turned to winter. How stately, the architecture, how impressive the manicured grounds and down the long and well-lit hallways where wheelchairs roll and greetings are exchanged, there is an aura of distinction and dignity. The libraries and the lush green gardens created to honor those who believed then and now that liberty is worth dying for. The marble floors and crystal chandeliers listen quietly to the stories of times past when fearless men and women were called upon to defend against terror with the sincerity of innocence. Yes, behind these walls of gratitude are the precious souls that represent courage that most will never understand. We think about these lovely shelters and impressive facilities that house the elderly that act as “waiting rooms” for the glorious freedom of the next life and there is nothing wrong with this, but many times we fail to remember they still have desires, hopes, and needs today. We admire the commendation medals and ribbons but cannot fathom what they have been through or what they are contemplating now. It is said that war is a glimpse of hell but we also realize that life itself has its own share of fierce battles with a real enemy, live ammo, suffering, victories and defeats, wounds, scars and broken hearts. The world may remember individuals for what they accomplished but those that really know them will always recall the person more than the achievement. We are observed carefully by everyone and how we treat others along with our determination to do what is right will be our legacy no matter how many awards are bestowed upon us. Respect is the admiration for a person that did the best they could, who got back up when they were knocked down and did not compromise their convictions or allow adversity to conquer them. Just because we grow old and cannot take care of ourselves does not mean our lives have lost meaning or that we have become less valuable. How lonely and sad it must be to be recognized as doing something – instead of being someone. When we begin to focus on others instead of ourselves, we are being drawn into the divine reality of spiritual love. Sadly, it seems that our modern day avalanche of information is slowly drowning out our awareness of others and most importantly the awareness of God. How terrible to allow our sensitivity to become calloused where we are more interested in fictional television programs or romance novels than we are with another person’s “real” life. When we step into one of the rooms and pull up a chair beside the bed of one that has been worn down by the years, we can give the most valuable gift called listening. Yes, of course, we can pray and help make them comfortable, but will we take the time and care enough to be attentive to their astonishing stories and browse through the photo albums and see the memories that long to be explained once more? Such joy it must be to be able to express a lifetime of events to someone who is sincerely interested in who we are. Here are two of my friends and I caught them in action in the cafeteria! 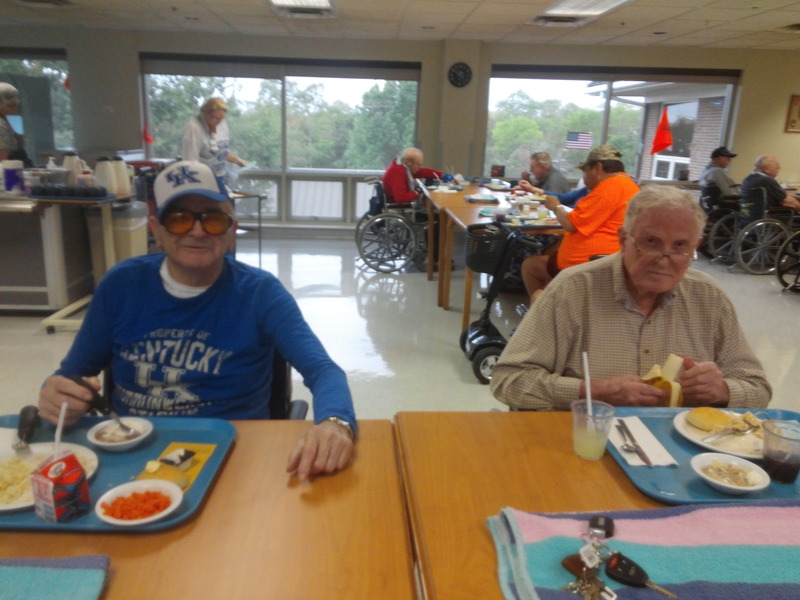 Brother Paul is on the left and is looking sharp all decked out in “BIG BLUE” and he has a new pair of tinted glasses on that he said made him look “cool.” William is on the right and after asking for a banana several times – he finally got one! Both of these men are in their mid-nineties and still going strong. William always wants to tell me about the day when he shot down 4 Japanese bombers in one combat mission. He was a machine gunner on a fighter plane and says that he actually shot down many more planes during his time in the military but never 4 in one mission. He says the Admiral watched this battle from the deck of the aircraft carrier and when his plane landed, he was mobbed by everyone as they hailed him as a hero! He gets a sparkle in his eye every time he tells this story and proudly proclaims this was one of the best days of his life. He has a box of medals but he gets more pleasure in knowing that he was able to destroy those potential bombs that no doubt saved the lives of many. William deserves a seat next to John Wayne when we are talking about courage and grit – truly a mans man! 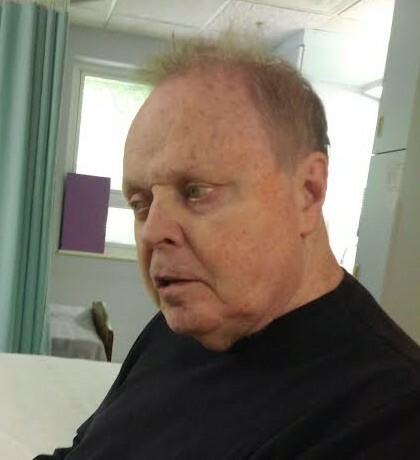 I actually wrote a newspaper article called, “Remembering those who have been forgotten” about those who live in these nursing homes and told the story about Bill being a war hero. I brought him the paper so that he could see it and it really seemed to mean a lot to him. He kept thanking me and I was so glad that I had the chance to do it. He has outlived most everyone that knew about his accomplishments and he believes that if he passes away the world may forget what he did. When he originally told me the story he squeezed my arm and said, please do not forget and I hope that his legacy will always be remembered. 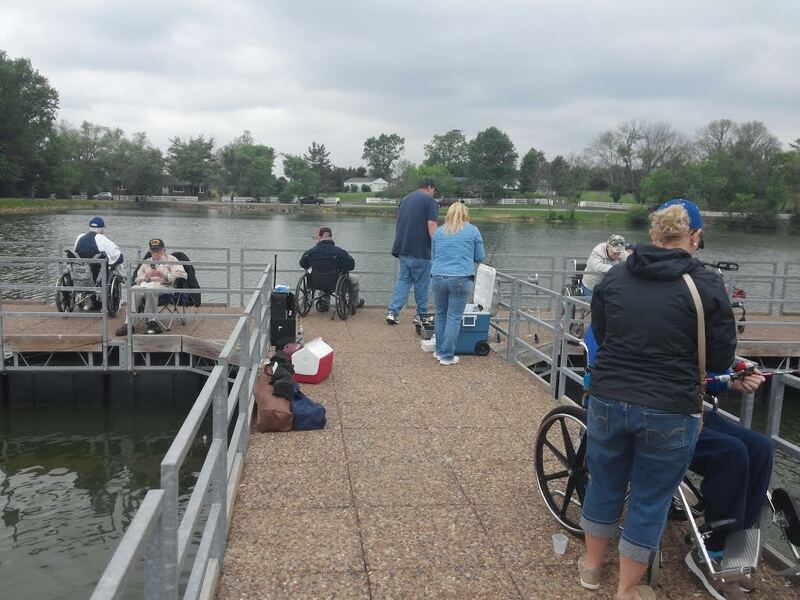 Last spring, I had the honor to help out on a fishing trip with the Veterans at Thomson-Hood. It was misting rain and windy which made it a little cool for the older guys. We went to the Frankfort Fish and Wildlife State Park and it was a really nice place to fish and picnic. Everyone seemed to enjoy just getting out and getting a breath of fresh air. Some of these men were serious fishermen in their day and proved it by catching some catfish and trout. We brought a picnic lunch and that is always a spirit lifter! Even though we had to cut the trip short and some did not catch anything, they all said it was great fun and are looking forward to the next trip. 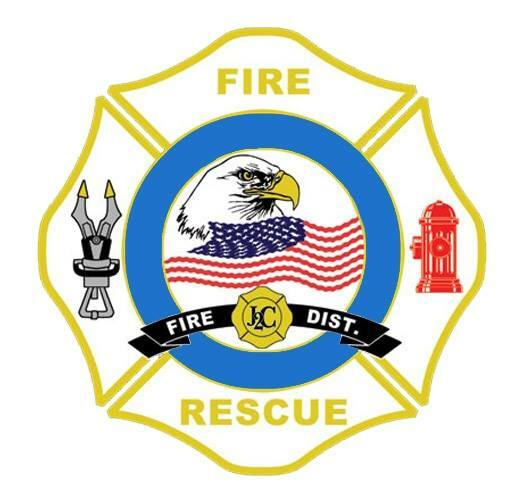 As Chaplain with Jessamine County Fire District, I am certified with the Kentucky Fire Commission and the Kentucky Federation of Fire Chaplains. I am in current good standing with training hours and consider it an honor to serve those who protect our community. I have learned a great deal about the sacrifices and hard work that goes on behind the scenes and I know first hand that our Fire District members are a dedicated group that shares in a calling to help those in need and are very serious about making a difference in people’s lives. My contribution is to be available when they need me to talk and pray and for them to know that I am here to serve them in any way I can. First responders are heroes that need the strength and courage from God to be able to do what needs to be done. I have attended training classes and watched these guys in action and let me say there is much more that goes on behind the scenes of being a firefighter than the general public could imagine. The training is intense and the classwork is a constant flow of critical information that helps them be prepared to save people’s lives which includes you and I. Every time we get into our vehicle to go somewhere we are not guaranteed that we will not be in an accident. The same is true when there are fires in the home, no one ever sees it coming. If something does happen, we can know that a firefighter or a paramedic will be the one trying to remove us and help save our lives until the medical personnel can get there. Their job is filled with trauma-related emergencies on a daily basis and I am grateful to have the opportunity to serve in this type of ministry. Providing a spiritual presence to those not only going through a crisis but also helping those who are risking their own life to save others gives them an encouragement that someone has their back in prayer. 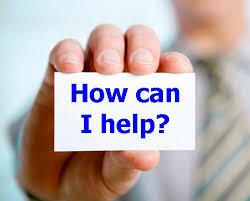 It is important to maintain a support system for the times when they might need a word of hope or just someone to take the time and listen when they are going through seasons of personal crisis. I am truly humbled and blessed to be a part of this service. 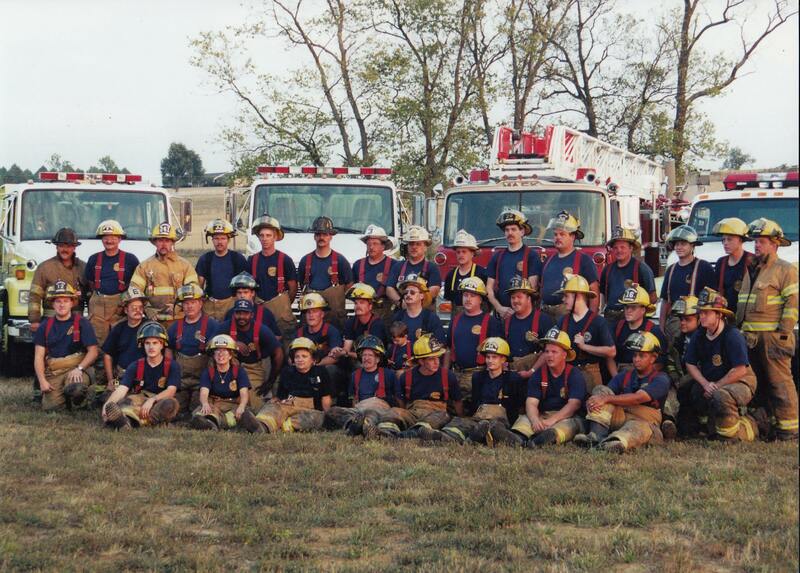 When I was asked to join the Fire Department in 2012 as the chaplain, I did not completely understand what my duties would include or how I might relate to an area that I was not familiar with. Other than making visits to the station, attending training classes and doing hospital visitation, there is actually much more involvement that is needed. My ministry for the last 30 years has mostly been centered around church-related interaction among the saints so to speak, but working behind the “walls” of the church is much different than taking the church to the community. Every year we raise money and distribute food for the needy in our annual Thanksgiving and Christmas outreach. As always, we want to say a special thanks to all who gave their money and time with this massive effort to help those in the community. We are all very blessed and most of us do not know what it means to be in need. The County Fire District has always been a place of generosity and the firefighters and the community are always willing to help any way they can. Every holiday season we are blessed to have plenty of volunteers to help sort and box up all the food. Even children love to be involved and are such a delight to have as a part of our team. We start raising funds in the fall and hope this will continue to grow larger! 2017 was an even bigger operation as we had more money and more applications. We ended up feeding over 400 families with large food boxes and turkeys for everyone. We purchase the food from Kroger and haul it to the station to sort and distribute. We also have the Gideons to hand out Bibles on pick-up day. What a great ministry and it’s amazing to see what we can do when the entire community comes together. Jesus says that when we visit those who are in prison and jail, we are actually having compassion and visiting Him. We might not be able to enter into a lot of places but we can pray and send resources. 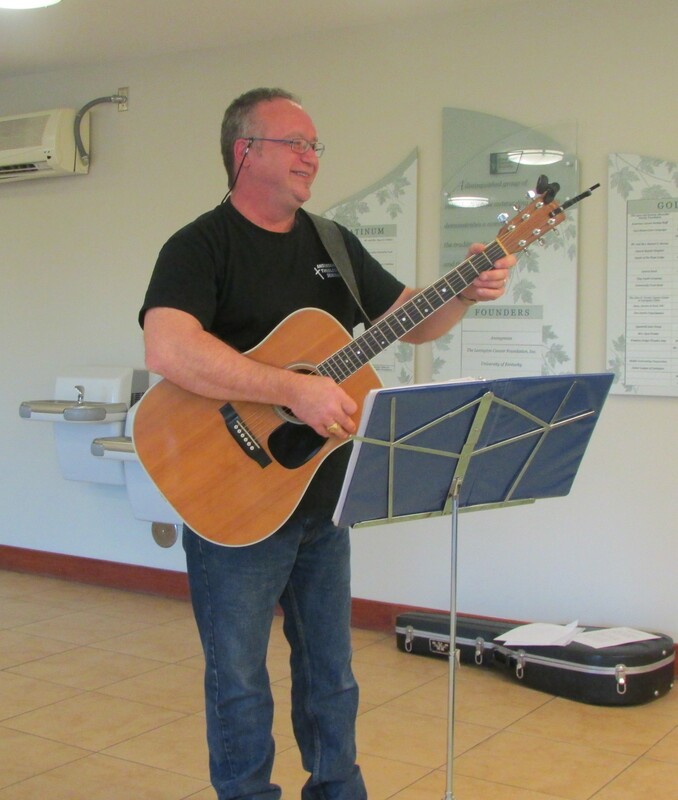 We were inspired last year to contact prison chaplains and make the connection to send “A Lifestyle of Worship” and a mixture of our music CDs to Correctional institution Libraries across America. We believe this will be a blessing to those who are desiring to allow God to transform them and prepare them for a new beginning. In January we sent out packages of books and CDs to 19 State Prison Libraries in 12 states, including Alabama, Alaska, Arizona, Arkansas, California, Connecticut, Colorado, Delaware, Idaho, Kentucky, Tennessee, and West Virginia. All of us have made terrible mistakes in our lives but some have suffered greatly because of things they have done. It is easy to judge and have resentment but difficult for our flesh to pray for others and see the good in someone else. There is hope in Jesus and forgiveness is the main reason He came to rescue ALL of us. When the Lord changes a heart and mind, nothing is impossible because God can heal and make a way when there seems to be no way. We all need miracles every day and I am reminded of where any of us would be today if not for the mercy and grace of God. Sending these packages out are quite costly but we are believing that as the Lord continues to pour out His blessings on us we can continue blessing the world. Please pray that these resources will make a difference in the lives of others and that God may be honored and receive all glory. Years ago, I used to go to Northpoint Prison and Blackburn Correctional Center in Lexington with an elderly minister I affectionately called Brother Edwards. I would bring my guitar and sing some songs and he would share a message from God’s Word. He still goes to the jails and nursing homes and I have also been with him many times to the nursing homes. Clark is now in his eighties and has been a positive influence in my life because of his zeal to preach and his burden for the lost. He was never known for his thunderous voice or an amazing orator but rather his humility in his weakness provided the Holy Spirit the opportunity to be manifested. God used his sincere words and empowered them to touch hearts which is exactly what a messenger has been called to do. I am now involved with our local Detention Center which is overcrowded with those who are caught in the dangerous opioid epidemic. God is filled with long-suffering and is always ready to forgive. In fact, the reason why Jesus came into the world was to forgive you and me of our sins and offer us a new way of living. The Bible declares that we have ALL sinned and come short of the glory and that our righteousness is as filthy rags. There is no sin that is too dark or too terrible that God’s grace cannot forgive and when anyone accepts His gift of love and mercy, they become born-again and are washed CLEAN by the blood of Jesus Christ and are given a new chance to start all over again. God’s love goes beyond restoration – He has the power and authority to transform and create us into a BRAND NEW creation. When we have been purified and filled with the power of His Holy Spirit we are now heirs to His kingdom and a royal priesthood within His family. Yes, we still have our old body and fleshly nature but with faith that can move mountains and infinite power from the Holy Spirit, we can learn how to live all over again and devote our lives to God’s truth which can lead us into His abundant life! Amen! We ALL need God’s compassion and forgiveness constantly and should not condemn others that have fallen along the way. If not for the grace of God where would any of us be? Let us always reach out to others with forgiveness as we remember that God has forgiven us. I want to share with you about a wonderful facility where God is working. HOPE LODGE is located close to several area hospitals and is designated specifically as a place of refuge for cancer patients who live far away and are undergoing grueling treatments. It has many private rooms, a large kitchen and dining area, a cozy den with fireplace, an exercise room and a computer room all provided for cancer patients at no charge. People from all over the state and the country can come and stay here without having to spend so much time on the road going back and forth or having to rent expensive motel rooms. They even provide a shuttle to the doctors and hospitals so the patients do not have to worry about driving. 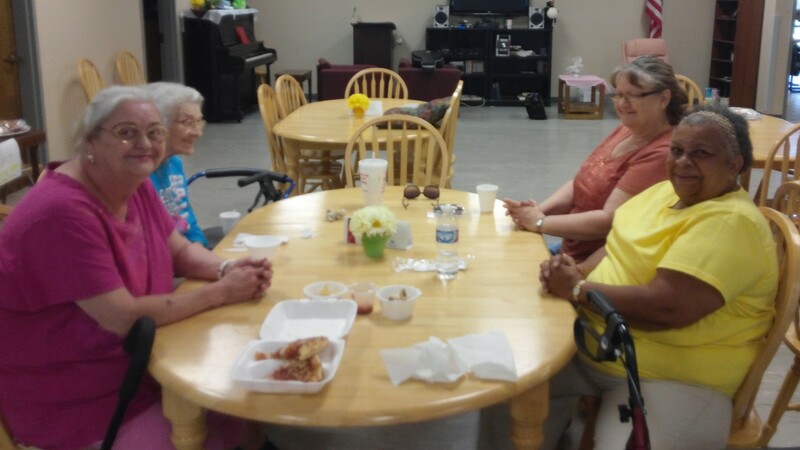 One caregiver is allowed to stay with each patient and MANY generous volunteers from churches and individuals all around Lexington provide delicious food on a daily basis. I have spoken with several volunteers that have stayed in the facility in the past and they were so blessed with the outpouring of love that they now are participating in the daily ministry program of supplying meals. I can truly say that I appreciate places like this and feel such a warmth and sincerity. You can sense the compassion and a spirit of peace and love here and I know that God’s presence is all around. I enjoy coming here and playing music and speaking God’s Word. It feels like family and just has a sense of unity in knowing that others want to gather together to be with the Lord. Humans can only say and do so much but the Word of God is where the real power is at. I make it a point to take the time to just read scripture because He is the ONLY one that has the ability to comfort the heart and give peace and true encouragement to the soul. I am not there to necessarily preach a sermon but rather to simply ask Jesus to come and bring His healing balm of love and compassion to those who need the security and tenderness of His presence. Music can be very soothing and brings comfort to those who are anxious and afraid. God’s Word is true and NEVER fails and many times in this life all we can do is STAND on what He says and completely trust Him. These fine gentlemen were such a blessing to my heart. The one on the left is a choir director for his church and he misses serving the Lord very much. We are all praying that he can recover from his treatments and get back to leading praise and worship this fall. The fine fellow on my right is a dirt track race driver and is also very much involved in his church. He is no doubt manifesting a true miracle from God and is testifying to everyone he sees that God is healing him! He had a large portion of his thigh bone removed and a rod inserted and the doctors told him he would not be able to walk for a year. As you can see, he is walking (slow but sure) after only 7 weeks! Praise God! I am sure it will be no time before he is back in the driver’s seat and enjoying victory lane but this is the ultimate victory and a testament to the grace and authority of God’s miracle power. I love to hear the stories of triumph and how the Lord brings joy to His people. When I go, I always try to teach on the blood covenant of Jesus and that He is the same yesterday, today and forever! I ask you to remember this brother in your prayers as he is facing some pretty serious challenges with his liver. 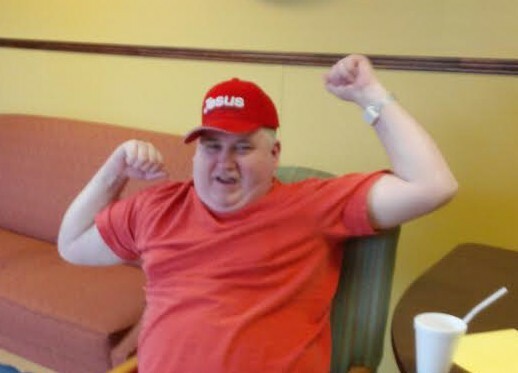 He and his wife are faithful church members and are believing in faith for his full recovery. He told me he had worked hard all of his life and at 84 years old, he is happy and at peace. He said that no matter what happens he will eventually be perfectly healed with a new glorified body as he sings praises around the throne of God. He told me he had joy in his heart and was very thankful for the Lord’s blessings. I want to share with you an awesome testimony about a very special lady named Rosetta Perry from Bardstown. She loves animals and has been a dog trainer for most of her life and has shown many of her animals and won championships all over the country. She was diagnosed with stage four breast cancer 30 years ago and was in a very serious fight for her life. When she tells the story today you can still see the fire in her eyes. She said that when they told her she had less than six months left on this earth, she boldly proclaimed that she would live and NOT die in the name of Jesus and began to confess and declare that she was HEALED. To make a long story short, the Lord stepped into her circumstance and she was miraculously healed! 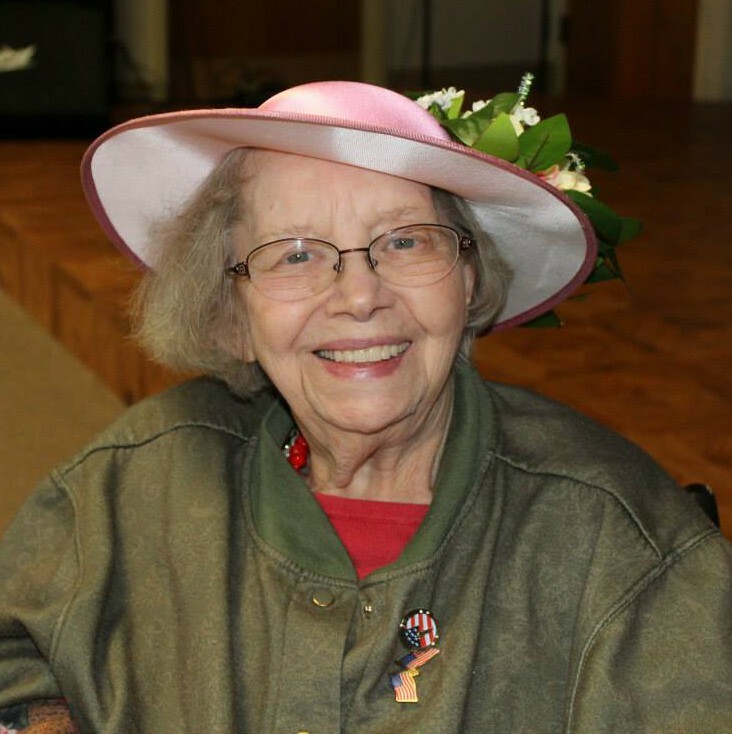 Later in life, she was ambushed again except this time they discovered she had bone cancer. This is the second type of cancer but she approached the battle the same way she had done before. She became very bold and aggressive against the enemy and once again Jesus heard her prayers and touched her body. She was delivered and the doctors were a second time left with their mouth hanging open in astonishment. Just recently she started having some problems and after going through some test, the doctors have revealed that she has lung cancer that is being blamed on the extensive amount of radiation she absorbed with the last bout of cancer. This now makes the THIRD different type of cancer and you guessed it – she is fired up and setting her face like flint to receive the VICTORY! She is a woman of faith and a true inspiration when it comes to determination and perseverance. I love her attitude and come into agreement with her that God is going to once again minister healing, restoration, and wholeness so that she can continue living for Him. I chose not to take her picture because her hair has fallen out and women are self-conscious about their looks and it is the right decision to be sensitive to her dignity and honor. Praise God! What a wonderful encouragement to see a fighter standing on God’s Word. I want you to meet one of my good friends that I have met at Hope Lodge. I remember the first time I met Charles Hord and his lovely wife Mavis. I sang one night and gave a devotional and I could feel the love of this couple. After I finished we sat and talked for a long time about the Lord and the Christian life. I could hardly believe it when he told me he was 82 because he looked so young and was so filled with life. He was very strong in his faith and before I left we prayed together. 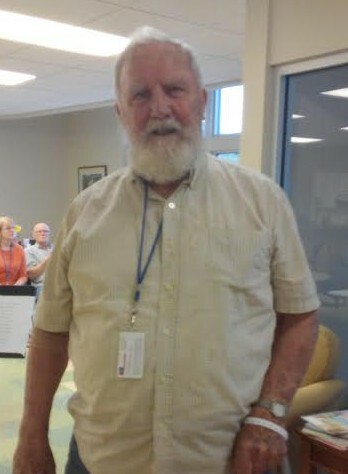 They decided to host a celebration service in June for all the residents that had stayed at Hope Lodge over the years and they called and wanted me to be a part of the program. 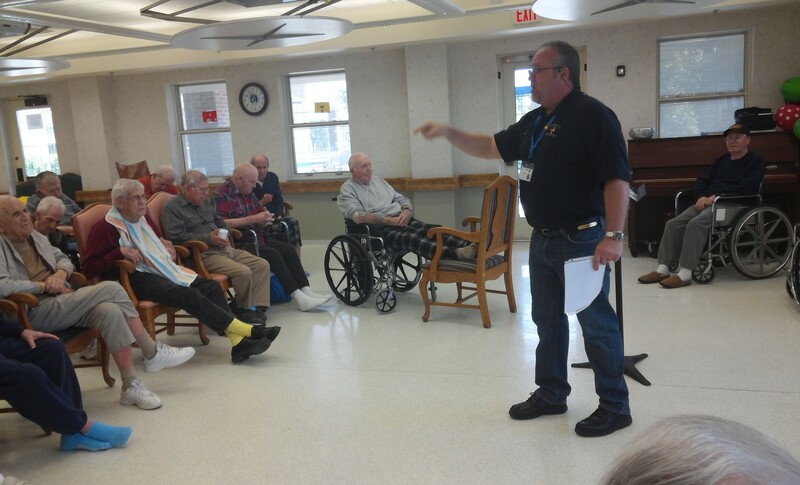 They gave me a three-hour block to sing and bring some encouraging motivation and everyone had a wonderful time. Charles had been taking some treatments and they were making him very weak, in fact, he had to lie down most of the day because he could hardly sit up in his wheelchair. 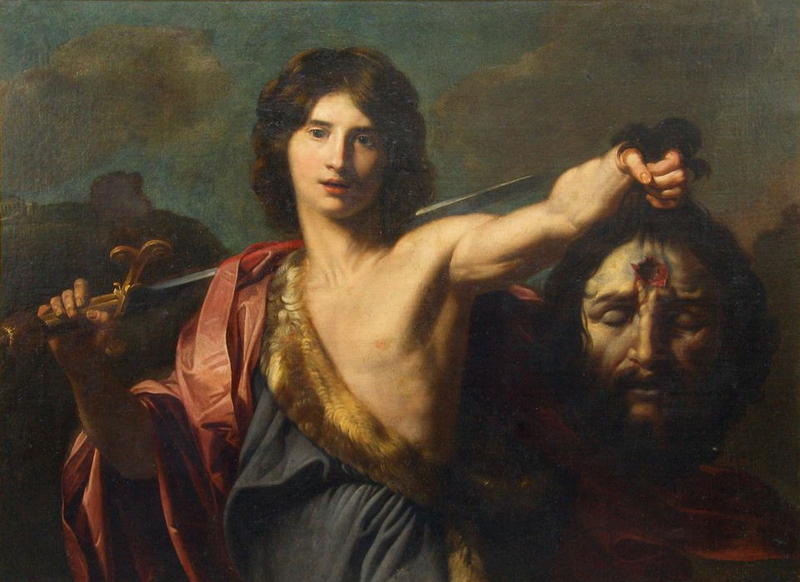 He was a warrior on this day as he was doing all that he could to hold his head up. It made me cry when he told everyone he was determined to come to the celebration and listen to me. 11 days after this picture was taken, Charles went to be with the one He loved. He is now in the arms of Jesus and walking on the streets of gold that he and I had been talking about the last day I was with him. He was so gentle and kind, he was meek and filled with love. It seemed he had all the fruits of the Spirit flowing through him and you could sense the presence of God radiating from him. Everyone who knew him will miss him terribly but we know he is finally enjoying the wonders and mysteries that are beyond our imagination. Please remember His wife Mavis and the entire family in your prayers. Goodbye, dear brother, we will meet again one day. THERE IS MUCH TO PRAY FOR AND MUCH WORK TO DO BEFORE HE RETURNS. When I look at this beautiful path I think about the journey of life. If our time here on earth were only as simple and easy as walking down a trail like this. We have had our share of trials and we never know what is ahead of us, but we can be sure that no matter what may come our way there is VICTORY in Jesus! Amen! The words on this picture are from that old hymn that says’s, “He loved me before I knew Him and all my love is due Him.” How wonderful to have the opportunity to experience the grace and mercy of God! What a blessing it is to know Jesus and have a personal relationship with Him! Below, is a photo that was taken in the spring of 2017. This is Ed Davidson and Frank Carter. Ed is 84 and Frank is 89 and they still work hard every day. They own a monument company here in town and continue to do all the labor just like it was done in the old days – by hand! Cheryl and I wanted them to do our personal headstone and I stop in and visit with them occasionally. I am fascinated by their talent as they are truly artists and to be honest, I simply enjoy watching and talking with them. This is a craft that will soon be extinct because computers and machines now do all the layout and engraving. I am grateful to know them as they are young at heart and really enjoy doing what they love. 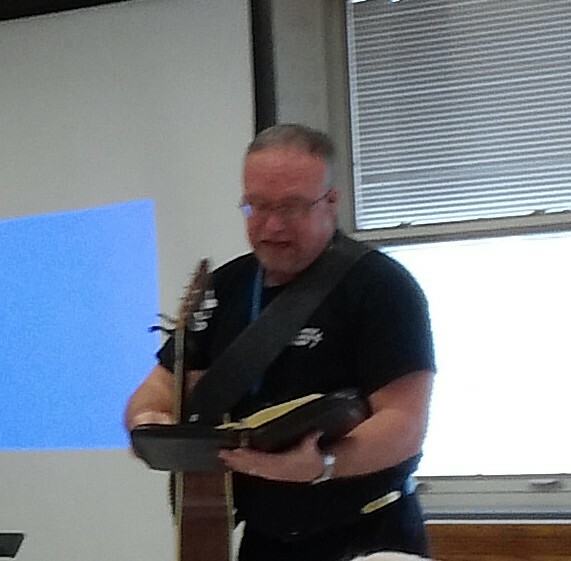 Occasionally, I provide Bible teaching and music at the Jessamine Senior Citizens Center here in Nicholasville and I enjoy it very much. I love to sit around and talk with the regulars and the staff. This is a very nice facility that provides transportation to and from the center along with breakfast and hot lunch. 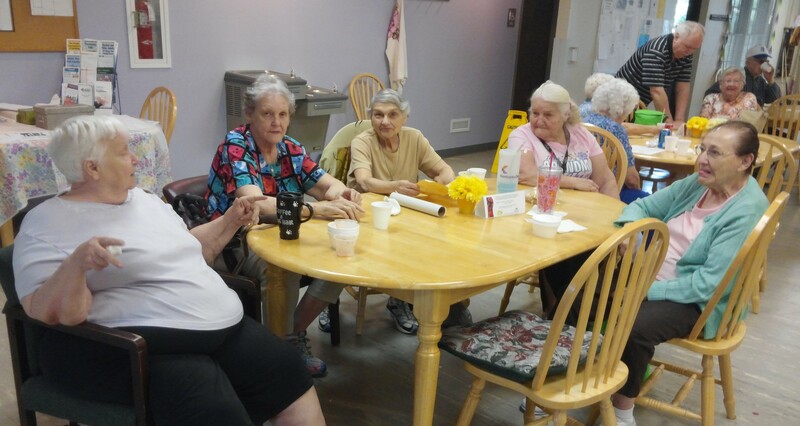 These are a group of sweet ladies that love to sing the old hymns and are really active when it comes to participating in the Bible teachings. I had the opportunity to sit and talk with a very nice lady today and she was telling me about some health issues she was having. I assured her the doctors were making some good decisions and prayed with her. She was appreciative and said she was very happy that I was there. These ladies love to kid around and laugh and today they wanted to know if I would be their pastor and of course I said it would be an honor! Most of them are widows and lonely so I think this is a great place to get out of the house and enjoy one another’s company. Now here we find a real treasure. 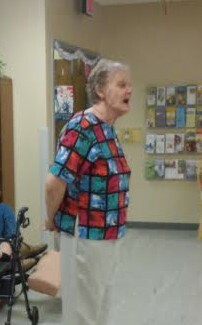 This is Shirley Preston and every time I come, she always comes up with an old song that I am not familiar with. Today she wanted to know if I knew “Come home its suppertime” and I was not familiar with it. Like always, I invited her to come up and sing it and WOW! she has such a sweet voice and as usual was a blessing to everyone. She sang it acapella and you could have heard a pin drop in there. Just because we are growing older does not mean that God is finished with us. 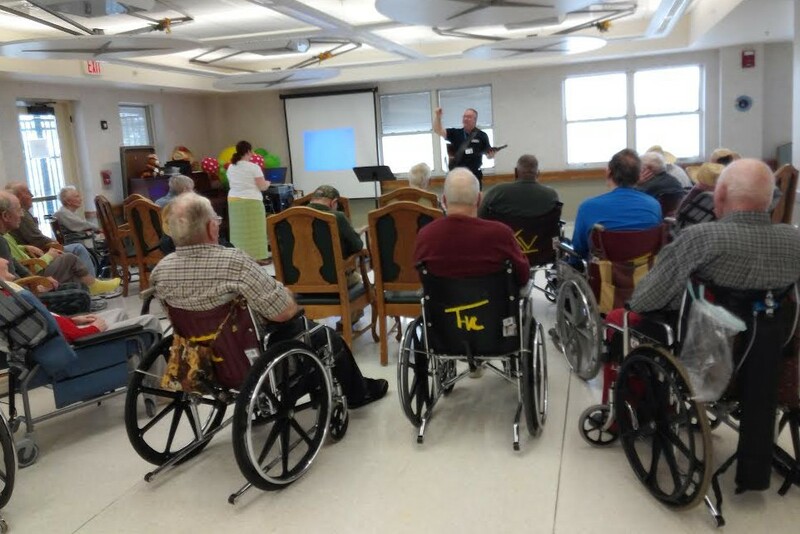 I remind people all the time in the nursing homes that our life or our ministry is not finished just because we are not young anymore or living in a different location. The Holy Spirit is still active in those who believe that God can still use them. 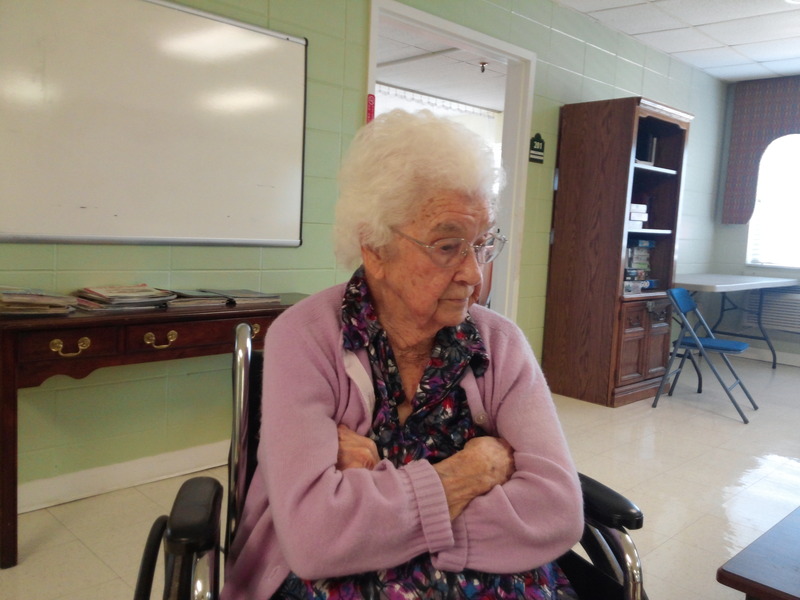 She said that music and singing have been a big part of her life and Praise the Lord – there is no sign of her slowing down! My Mother-in-law Mary was a resident of this healthcare facility for a couple of years and with me going in and out all the time checking on her, I became friends with many of the residents and the staff. Eventually, I was asked to help with counseling and visitation as a volunteer chaplain and of course, I agreed. I love to meet new friends and spend time with the elderly. One day, I was chatting with this lady you see here, (her name is Barabara), about our families and she mentioned she had lived in Bourbon County as a little girl. I told her my Mom also lived in Paris when she was growing up and we also discovered they are the same age. This seemed like an interesting coincidence but it became even more interesting when I mentioned that I remembered going to 17th street when I was a kid because my grandparents lived there. Suddenly, she looked at me funny and said that she had grown up on 17th street. Sure enough, her family lived right next door to my Grandparents and she and my mother used to play together every day when they were kids! What a small world! I called mom and told her who I had found and she remembered Bobbi as if it were yesterday. This was an amazing coincidence and I was very happy to bring my Mother to see her and they had a wonderful time together reminiscing about their childhood. Here is a man that I have included in my regular rounds at Diversicare. His name is Fletcher and he is 94 years old. I really enjoy being with him and talking to him as he is always telling stories about working on farms throughout Jessamine County and what a blessed life he has had. He says he has lived in the County all of his life and can remember lots of people and things that have happened over the years. He is a very neat individual and dresses sharp. Here, I found him polishing his dress shoes and let me tell you, he had them shining like new money! 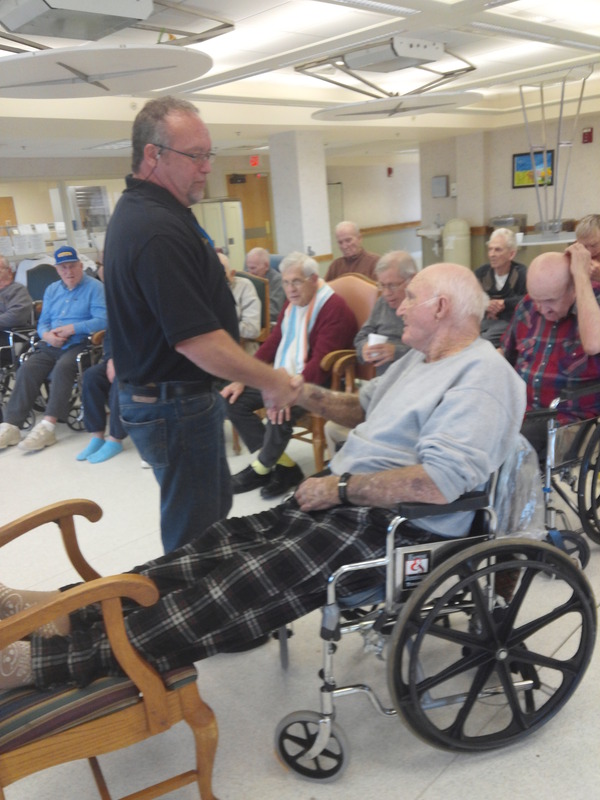 When I visit each week, I make it a point to go down the halls and try to meet as many of the residents that I can. I have made a lot of friends like this lovely lady and I am grateful to add new people to my “buddy list.” Lately, I have been having some fascinating conversations with Mrs. B. She is 99 and still has a strong mind and can remember her life as good or better than others who are much younger. I asked if she would mind for me to capture her stories on a voice recorder and she said that would be fine. So, one day I recorded about an hour of her talking about her life. She was telling me a story the other day about walking to school when she was a little girl. They lived so far back in the mountains that when the creek was flowing too high, she and her brothers and sisters would just turn around and walk back home. Mrs. Bruner only went to the THIRD grade because she was needed on the farm to help her parents survive. She said that all of their time was focused on existing but proudly declares it made everyone very close and they had lots of love and respect for each other. My grandmother has told me that she grew up the same way and evidently this was common back in the 30’s and 40’s. After her husband passed away, she could still live by herself but became very feeble when she walks and everyone was afraid she would fall, so she ended up in the nursing home. She says that she had a blessed and wonderful life, a strong, hard-working and protective husband and wonderful children who constantly visit her. What a great lady! Being a part of the KCCRT requires completing Homeland Security training courses, attending meetings, and ongoing education in the field of psychological first aid. As a faith-based member, I am on-call for any type of emergency disaster-related crisis within the state of Kentucky and if needed anywhere in the country. Our role-playing exercises are a huge part of our training and an effective way to learn how to be more familiar with human need. We hope and pray that nothing happens, but if it does there will be many who are in shock and will need practical along with psychological and spiritual assistance. 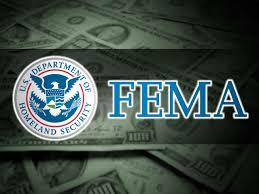 Some examples of disasters and catastrophic events that would call for our intervention would be – Workplace trauma/violence, plane crash, school shooting, transportation accident, bioterrorism, explosive devices, infrastructure failure/sabotage, industrial accident, weather-related disasters flood/tornados/fire and any type of intentional violence. It has been said, the behavioral health consequences of a mass casualty event may well be the most widespread, long-lasting, and expensive. We can physically rebuild but many times the mental and emotional trauma takes much longer to heal and restore. counseling experience and disaster relief psychological first-aid training are definitely great assets to have present on a scene but an emergency response is all about saving lives first. Whether conducting search and rescue, emergency medical procedures or administering trauma and psychological first aid, the focus is to maintain the process. Successful trauma and stress-related intervention can work independently without professional clergy as they both are distinct and yet are much needed in their own unique circumstances. When the scene is secure and everyone is physically stable, the process of recovery can continue. It’s truly an honor to work with these two first response heroes. Lieutenant Johnny Adams on the left is a firefighter and a training instructor for the County and City Fire Departments. He is also the director of Jessamine County Emergency Management which has just officially brought CERT into the program. 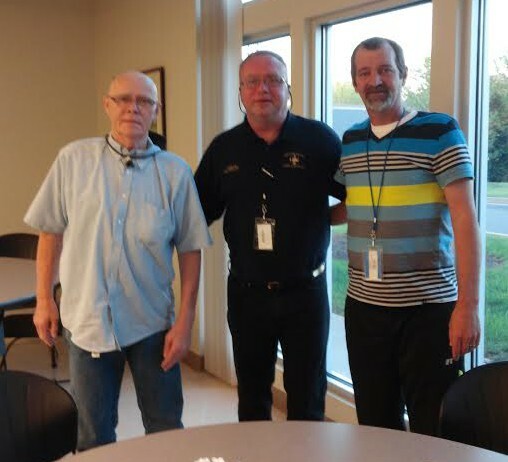 The brother on the right is none other than Rich Conaway, who leads Jessamine County CERT and is the community reliance specialist the Red Cross and serves 23 counties. This was taken at an appreciation dinner for the team and I was presented with a training certificate and named as the chaplain for the team. Here we see (CERT) giving a Christmas party for the residents at Lord’s Legacies Ministries and the people loved it! We provided a very awesome looking Santa – ha! and were touched as he gave blankets and gifts to every person. Lord’s Legacies is a ministry that provides day-care and assisted living care to mentally and physically challenged adults. These men and women were so excited as they kept hugging us and thanking us. They are such a blessing! Ann Stevens is the founder of Sonshine Ministries in Lexington and the host of the Christian radio program, “Sonshine for today.” She has been giving birthday parties for Jesus for 20 years and this year was very awesome. She rented the conference room at the Hilton and provided a wonderful banquet meal for over 100 people who were in need and also provided bags of gifts for every family. I sang and we had a great time of praise and worship together as we gave Jesus all the glory. There is so much we have all been called to do – but how much WILL we do? There is a strong emphasis directed toward Jesus with Ann bringing a short salvation message along with puppets that sing and tell the story of Jesus birth and some of us volunteers led everyone in some Christmas songs. Bibles were offered to every person and several children raised their hands to accept Christ as their Savior. These younger ones were given personal counsel about being born-again and we thank God for His mercy and grace. Much prayer and preparation goes into these annual celebrations throughout the year and is just another demonstration of how we can sincerely show those around us the love of Jesus.